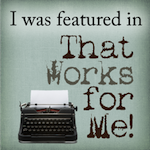 Yes, my Encouraging Bloggers post is running behind - it will hopefully be posted later today. It's not my fault. Really. It's the pears' fault. 50 pounds of pears can beat you up - they can. :) Anyway, I'm busy making pear stuff but there are still pears left and most of those are overripe at this point. All else is on hold while I finish this pear project! And no, I don't can which makes me completely crazy for purchasing this many pears in the first place! LOL! But I could.not. pass up the deal. 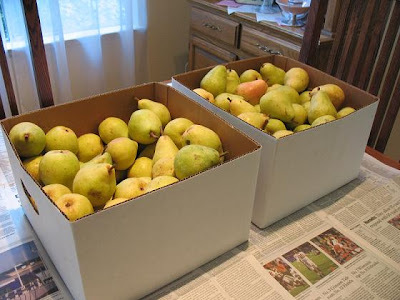 You should know that recent events have led me to declare that it will be ~ Pear Week ~ on my blog all next week! I'll have some recipes to share like pear sauce, pear cake, pear muffins, and maybe more. Hope you can stop by for that! 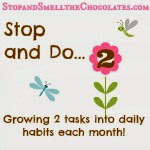 Look for Encouraging Bloggers soon and then pears, and more pears starting Monday! Canners all over the world are shaking their heads in shame. LOL! That, my friend, is a lot of pears for someone who doesn't can. Ha! Ha! Big one of us is going to have to can sooner or later size hugs to you! Yum! 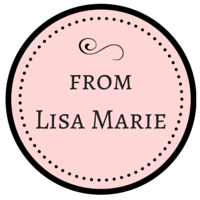 I look forward to seeing all the delicious recipes Lisa!